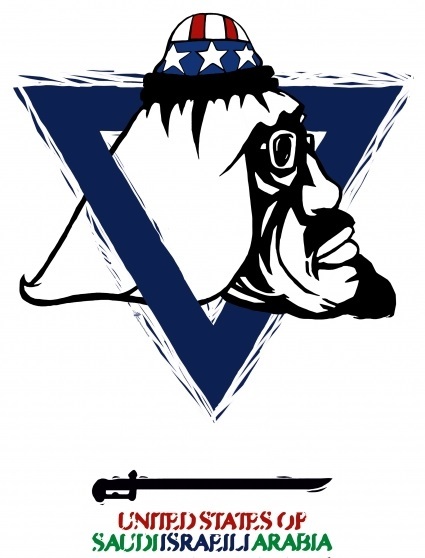 Originally published on Axis of Logic on May 8, 2007. There is a great hue and cry over the May Day demonstrations in Los Angeles (legitimate) that saw the LAPD in their military gear – assaulting mostly Mexican immigrants. Nobody should suffer brutalization by the police.This has been given a great deal of coverage in the media. The thing that impressed me over the media coverage that this has been given; is that this assaulting and beating of people was being treated as if it was an anomaly! 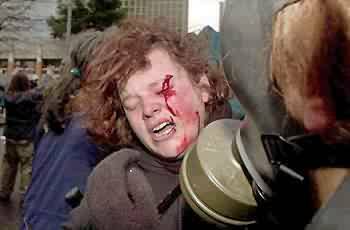 Those clubbed, gassed, shot with rubber bullets, at the conventions (Democrat and Republican) and at the various protests against treaty summits, received NONE of this outrage or an apology from the police? When you militarize local police departments and equip them with better weaponry and armor than those at war – you can expect them to treat all citizens as the ENEMY. I’m confused – is this the FREEDOM that we’re trying to export to Iraq etc? 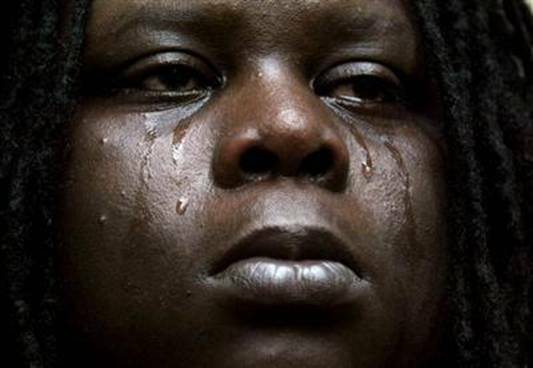 It’s hard to sing America the Beautiful when you’re being gassed! 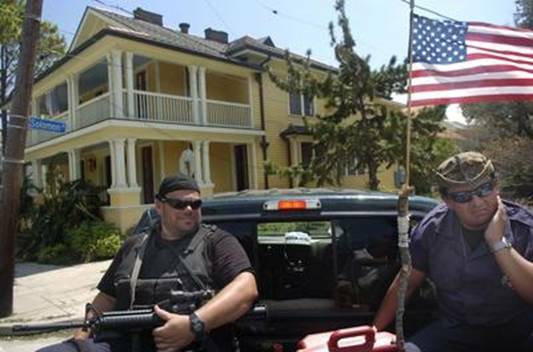 In recent years, American police forces called out SWAT teams 40,000 times or more annually. What were these SWAT teams doing? They were serving routine warrants to people who posed no danger to the public. SWAT teams were once rare and used only for VERY dangerous situations, often involving hostages held by armed criminals. 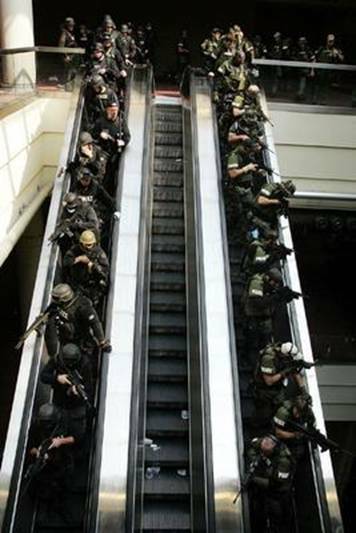 Today SWAT teams are deployed for routine police duties. 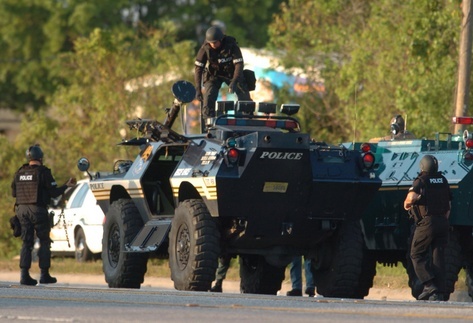 In the United States today, 75% to 80% of SWAT deployments are for warrant service. 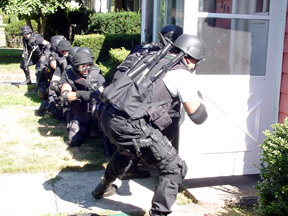 In a HIGH percentage of the cases, the SWAT teams forcefully enter the wrong address, resulting in death, injury and trauma to perfectly innocent people. Mostly the hundreds (documented) of these killings never make the national media and are reported only locally. 75 year old Reverend Williams (Boston) was sitting in his chair (his wife had gone to the grocery store) reading the Scriptures, when the Boston, black clad SWAT team, battered down his door without warning. Terrified Reverend Williams ran to his bedroom, where burly SWAT police tackled him to the floor and handcuffed him. Terrified beyond imagination, he vomited and died of a heart attack! For those who are indifferent over such outrages – these dozens of innocent citizens were all killed by “mistake”- the next wrong address could be yours. Occasionally, highly keyed up police kill one another in the confusion caused by stun grenades. 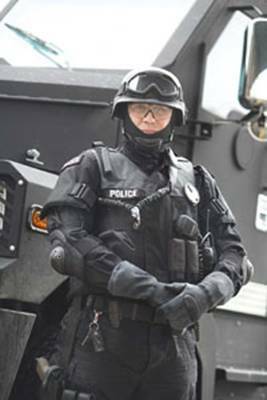 A law enforcement officer in Pittsburgh, Pennsylvania. Is he awaiting an invasion of enemy forces? The use of paramilitary police units began in Los Angeles in the 1960s (Attorney General Ed Meese) for the “war on drugs”. In 1988, Congress ordered the National Guard into the domestic drug war. In 1994, the Department of Defense issued a memorandum authorizing the transfer of military equipment and technology to state and local police, and Congress created a program – to facilitate handing military gear over to civilian police agencies. Today 17,000 local police forces are equipped with such military equipment as Blackhawk helicopters, machine guns, grenade launchers, battering rams, explosives, chemical sprays, body armor, night vision, tasers and stun grenades, rappelling gear and armored vehicles. Some local police departments have military tanks under wraps. Police forces have been retrained “to vaporize, not Mirandize” to use a phrase from Reagan administration defense official Lawrence Korb. This leaves the public at the mercy of brutal actions on bad police information from paid informers. SWAT team deployment received a huge boost from the Byrne Justice Assistance Grant (JAG) program which gave states federal money for drug enforcement �the states then disbursed the money to local police departments on the basis of each department’s number of drug arrests. Former Republican Congressman and CIA official Bob Barr says that there is a danger that America is slipping into a totalitarian society and that the Bush administration is doing everything in their power to see this happen. 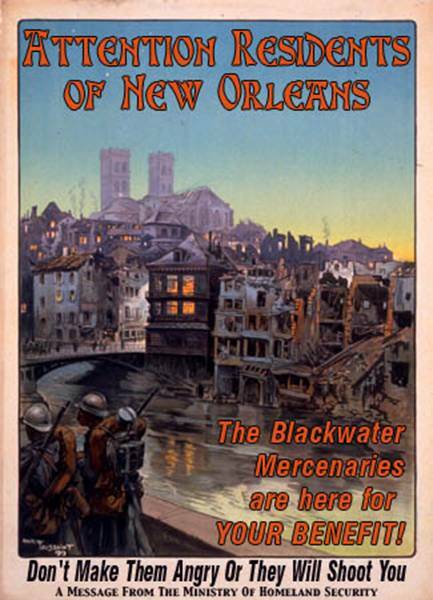 Blackwater, a private mercenary force, protects homes of the wealthy in New Orleans (not flooded) while the poor drowned or died of heat prostration. 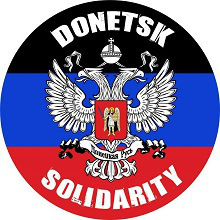 Fear and Patriotism: Powerful nationalism with patriotic mottos, slogans, symbols, songs and lots of flags everywhere – disdain for the recognition of human rights. Because of the fear of “enemies” and the need for security people are persuaded that human rights can be ignored. Identification of enmies/scapegoats as a unifying cause – the people are rallied into a unifying patriotic frenzy over the need to eliminate a perceived common threat or foe: racial, ethnic or religious minorities, terrorists etc. Supremacy of the military – the military is given a disproportionate amount of government funding and the domestic agenda is neglected. Soldiers and military service are glamorized. Obsession with national security- FEAR is used as a motivational tool by the government over the masses. 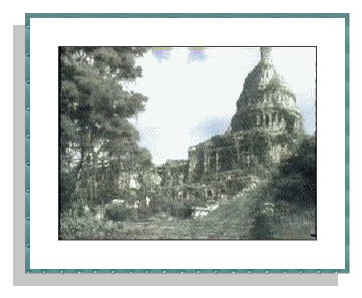 Religion and government are intertwined � with religious rhetoric and terminology used by government leaders. Obsession with crime and punishment (we incarcerate the most people in the world). Police are given almost limitless power to enforce laws � and fraudulent elections. Government intrusion and control of our lives: All the king’s horses and all the king’s men couldn’t save Terri Schivao, whose husband (though he lived with another woman and had children with her), was intent on seeing her dead. Terri’s parents wanted nothing more than to bring their child home where they would care for her. A multi-million dollar court settlement, was thought to be a major reason for her husband’s insistence that she receive no food or water, not even (she was Catholic) the sacramental host. Doctor Mirachi, a professor of emergency medicine, stated, “the process of starving to death seems barbaric, but in actuality is very peaceful”. Dr. Fine, Vice President of Medical Affair at the National Hospice reported, “It’s a smooth, graceful, and elegant way to go”. Reports from Reverend Pavone, and Attorney Weller, who were with her shortly before her death, reported that her last moments were “horrifying”. Attorney Weller reports that Terri’s eyes and tongue were bleeding and her was skin peeling off. Reverend Pavone stated, “It was a horrible death. Her breathing was very labored and she had a look of horror and distress on her face”. Her “husband” would not permit her parents or brother into the room for her final moments. It took Terri 13 days to starve to death (even the Pope couldn’t save her). She was put down like a wounded animal – except that an animal isn’t left to starve to death in a cage. 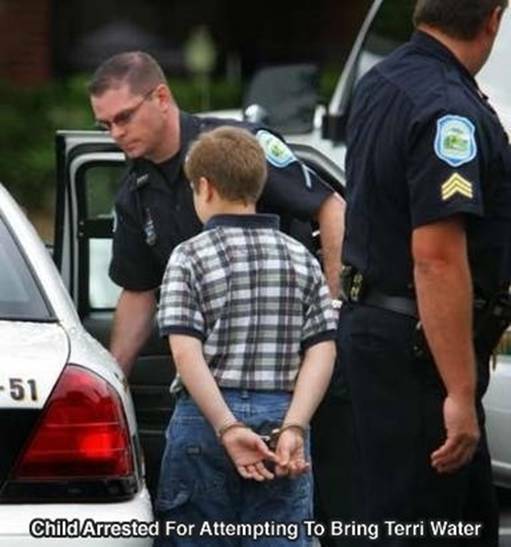 The innocence of childhood tried to bring her water and was arrested. Compassion is a gift not to be taught but caught. This gift is regretfully becoming rare in a society that now pushes to “euthanatize” the flawed, and burdensome amongst us, under the guise of “death with dignity”. Oh what is that light I see flashing so clear? 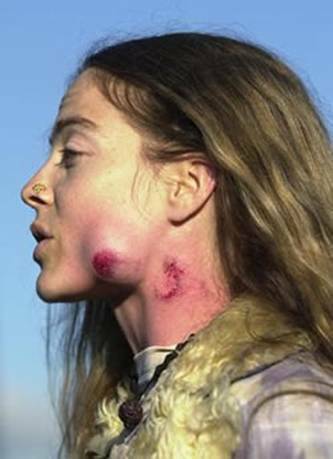 Rubber bullets reported to be �non-lethal� are shot at peaceful protestors trying to save American jobs! Oh what are they doing with all that gear? Only their usual maneuvers, dear. Or perhaps a warning ? Freedom of speech is stomped to the ground in Miami Florida at FTAA peaceful protest for jobs! Oh why have they left the road down there? Perhaps a change in their orders, dear. 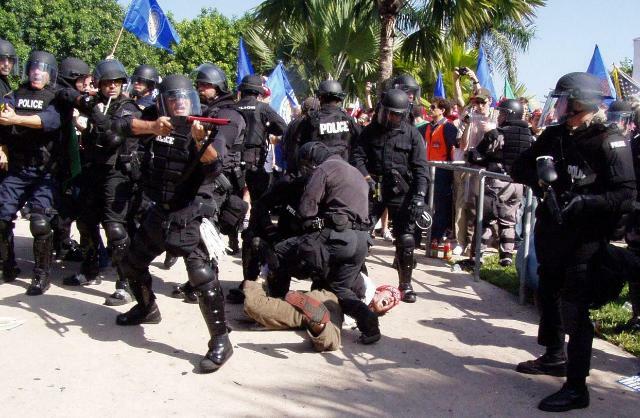 Over-funded Police State and Police Brutality: Police in Miami, Florida were outfitted in armored Ninja attire (weaponry), to attack the young and senior citizens demonstrating against FTAA, another trade policy (not debated or read by Congress) that would result in more closed factories across the nation. The eight million that Miami received, was diverted from funds allocated for our military in Iraq who are up against Armed Insurgents! It doesn’t take any courage to club unarmed citizens, who mistakenly thought freedom of assembly and freedom of speech still existed in the “land of the free”? Why, they are none of them wounded, dear. Disaster Plan for New Orleans saw citizens terrorized and treated as the ENEMY not victims! Corrupted politics: the blame game, inadequate, antiquated levees and the fiasco of FEMA saw citizens left for days with no supplies, in the boiling Louisiana heat; yes – here – in the “Super Power nation of the world”, that brags of its missions to outer space dancing amongst the stars, yet unable (or unwilling) to reach New Orleans. Gentrification by disaster was realized! Oh it must be the farmer who lives so near. The U.S. �no-knock� policy saw 92 year old Kathyrn Johnston, of Atlanta, Georgia, killed on Nov 21, 2006. SWAT team raiding another (out of hundreds reported nation wide) wrong address? 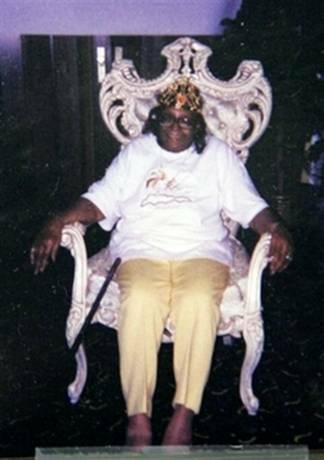 A ”no-knock” policy saw 92 year old Kathyrn Johnston, of Atlanta, Georgia, killed on Nov 21, 2006. Kathyrn, like many of our elderly, who live in poor sections of town, had burglar bars on her home (fearful of drug gangs). These masked men with guns – pried open the bars on her door, broke it down, and fired 34 shots. Six of them hit this elderly woman. They then handcuffed this mortally wounded citizen in the land of the “free”! Oops, wrong address! Another botched drug raid (while tons come over the Mexican border). Three officers have been indicted, with investigations finding corruption in the Atlanta Police Dept., with the police regularly lying to obtain “no-knock” search warrants. Kathyrn survived the terror of the KKK, racism, that saw “whites only” at drinking fountains, restaurants etc, the Great Depression, WWII, Doctor King’s, “I Have a Dream” et al. She didn’t survive today’s militarized police that see citizens as the “enemy”. Message being: A man’s home is no longer his castle – a “wrong address” can result in one’s execution! Oh where are you going? Stay with me here! 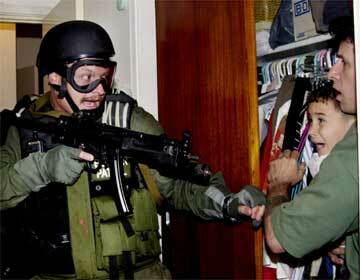 By orders from Attorney General, Janet Reno, little Elian Gonzales was removed from the home of relatives in Florida, by a SWAT team. 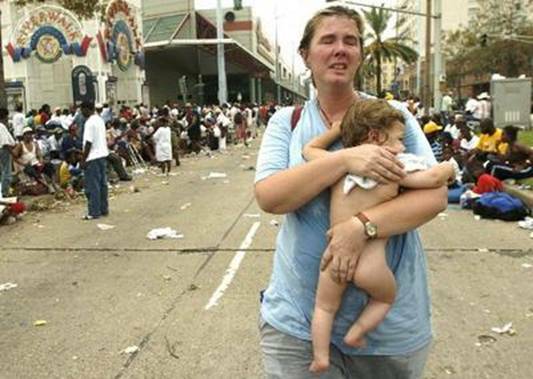 Elian’s mother, and 10 others, died trying to reach America from Cuba. Elian survived clinging to an inner tube and was picked up by fishermen. Elian was returned to Cuba. Seeing the terror on this child’s face, I imagine he’ll feel safer in Cuba? Editor’s note on self-empowerment: Only the people can stop the continuing development of totalitarianism in the United States. Only we, the people, can take control of our own lives and destinies. Power is never voluntarily surrendered by the state. Only the people can take power back unto ourselves and for ourselves.